Under Stark regulations issued in 2004 and 2007, medical practices may only provide professional courtesy in accordance with a bullet point list of rules. 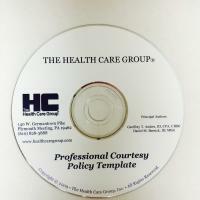 To comply, the courtesy policy also must be in writing and approved by the Practice's governing body. This Word template furnishes a complete set of Stark compliant policies for the various types of practice entities (corporations, LLCs, sole proprietorships, etc. ), together with appropriate adopting resolutions.